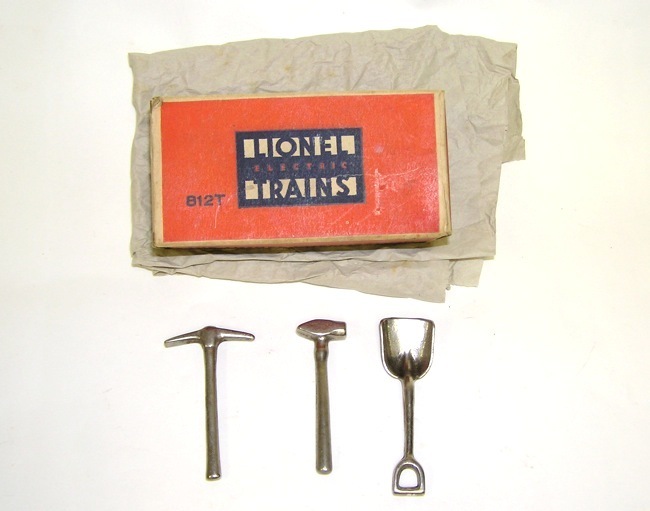 Lionel Prewar No. 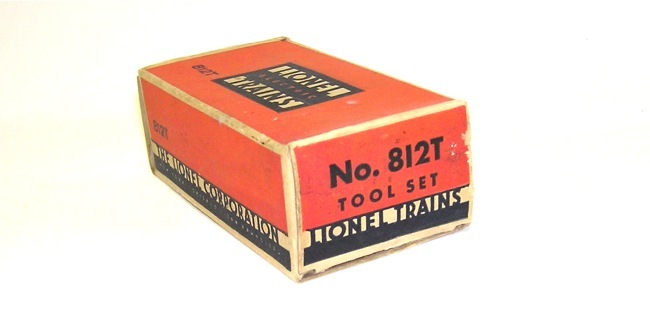 812T Tool Set Boxed - Nice! 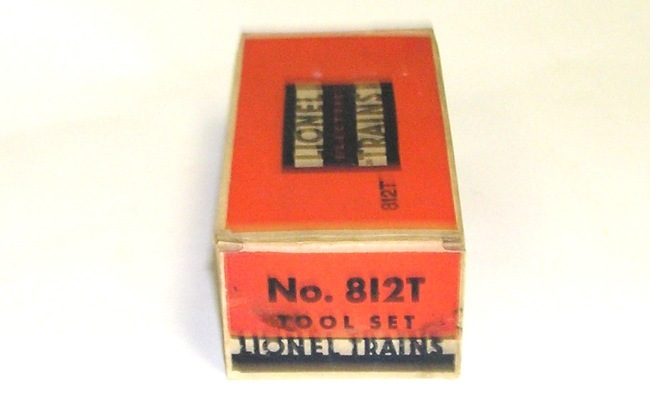 Here is an original Lionel prewar "O" gauge No. 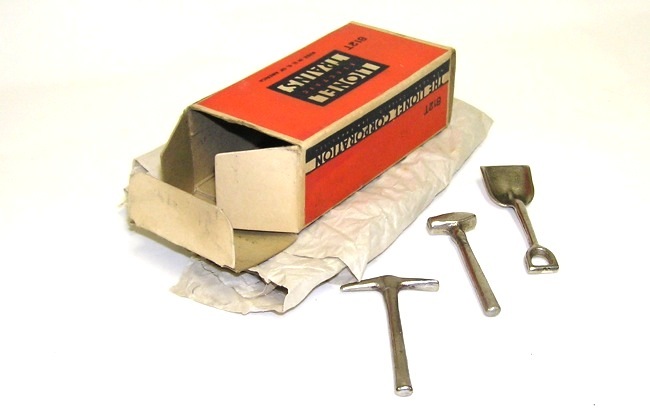 812T Tool Set with (3) tools - original Box - and paper. 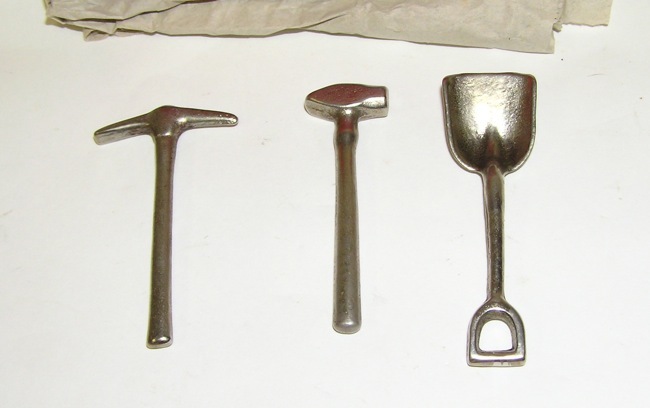 This was made in the 1930s. This one is in great condition - as seen in the pictures. 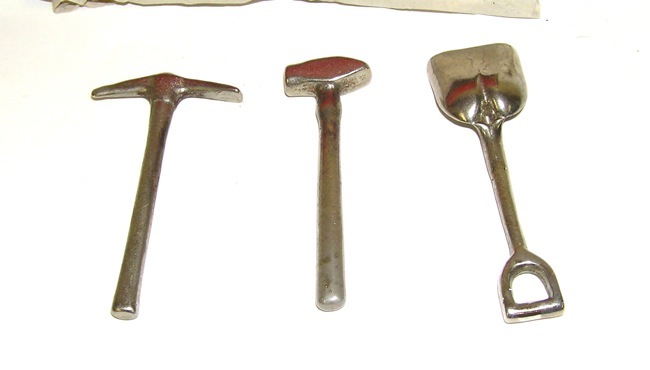 Tools are pristine. Paper has some spots on it. Box very nice. Don't miss an opportunity to own one of these rare pieces. Price: $149 Purchase Item! Click for confirmation page, with paying options.